Lucrative rewards for small business owners. 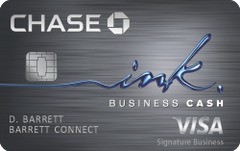 Bonus rates on this card include 5% cash back on the first $25,000 spent at office supply stores and on Internet, cable, and phone services. Gas stations and restaurants also fetch bonus reward rates. Compare this to other top business credit cards.